Have you ever heard about "British Invasion?" well, according to Encyclopedia Britannica Online, "British Invasion is musical movement of the mid-1960s composed of British rock-and-roll (“beat”) groups whose popularity spread rapidly to the United States. 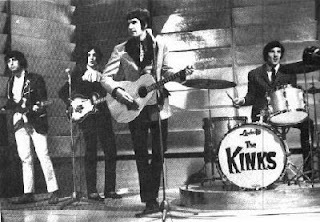 The Kinks has been recognized as one of the invader along with The Beatles, The Who, and The Rolling Stones. In 1964 brothers Ray and Dave Davies, formed The Kinks in Muswell Hill, North London. The Song Girl You Really Got Me is the third single of their first album Kinks. The song was released on 4th August 1964 and become internationally successful as it reached top of the charts in the United Kingdom and reaching the Top 10 in the United States. In his book Running with the Devil: Power, Gender, and Madness in Heavy Metal Music, American musicologist Robert Walser wrote that it is, "the track which invented heavy metal" and and heavily influenced later rock musicians, particularly the heavy metal genre. This song is really rock n Roll, the guitar Riff could make your head banging and make your body moves. This is the right song to tell your feeling of love to the girl you love, if you have no other way of course :). But there's no guarantee to work, it's your own risk. Haha. Happy listening.